There's an impression that Muslims suffer disproportionately from the rule of dictators, tyrants, unelected presidents, kings, emirs, and various other strongmen – and it's accurate. A careful analysis by Frederic L. Pryor of Swarthmore College in the Middle East Quarterly ("Are Muslim Countries Less Democratic?") concludes that "In all but the poorest countries, Islam is associated with fewer political rights." The fact that majority-Muslim countries are less democratic makes it tempting to conclude that the religion of Islam, their common factor, is itself incompatible with democracy. I disagree with that conclusion. Today's Muslim predicament, rather, reflects historical circumstances more than innate features of Islam. Put differently, Islam, like all pre-modern religions is undemocratic in spirit. No less than the others, however, it has the potential to evolve in a democratic direction. Such evolution is not easy for any religion. In the Christian case, the battle to limit the Catholic Church's political role lasted painfully long. If the transition began when Marsiglio of Padua published Defensor pacis in the year 1324, it took another six centuries for the Church fully to reconcile itself to democracy. Why should Islam's transition be smoother or easier? To render Islam consistent with democratic ways will require profound changes in its interpretation. For example, the anti-democratic law of Islam, the Shari‘a, lies at the core of the problem. Developed over a millennium ago, it presumes autocratic rulers and submissive subjects, emphasizes God's will over popular sovereignty, and encourages violent jihad to expand Islam's borders. Further, it anti-democratically privileges Muslims over non-Muslims, males over females, and free persons over slaves. For Muslims to build fully functioning democracies, they basically must reject the Shari‘a's public aspects. Atatürk frontally did just that in Turkey, but others have offered more subtle approaches. 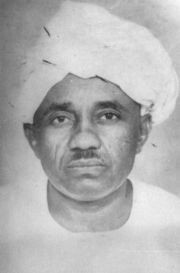 Mahmud Muhammad Taha, a Sudanese thinker, dispatched the public Islamic laws by fundamentally reinterpreting the Koran. Atatürk's efforts and Taha's ideas imply that Islam is ever-evolving, and that to see it as unchanging is a grave mistake. Or, in the lively metaphor of Hassan Hanafi, professor of philosophy at the University of Cairo, the Koran "is a supermarket, where one takes what one wants and leaves what one doesn't want." Islam's problem is less its being anti-modern than that its process of modernization has hardly begun. Muslims can modernize their religion, but that requires major changes: Out go waging jihad to impose Muslim rule, second-class citizenship for non-Muslims, and death sentences for blasphemy or apostasy. In come individual freedoms, civil rights, political participation, popular sovereignty, equality before the law, and representative elections. Two obstacles stand in the way of these changes, however. In the Middle East especially, tribal affiliations remain of paramount importance. As explained by Philip Carl Salzman in his recent book, Culture and Conflict in the Middle East, these ties create a complex pattern of tribal autonomy and tyrannical centralism that obstructs the development of constitutionalism, the rule of law, citizenship, gender equality, and the other prerequisites of a democratic state. Not until this archaic social system based on the family is dispatched can democracy make real headway in the Middle East. Globally, the compelling and powerful Islamist movement obstructs democracy. It seeks the opposite of reform and modernization – namely, the reassertion of the Shari‘a in its entirety. A jihadist like Osama bin Laden may spell out this goal more explicitly than an establishment politician like Turkey's Prime Minister Recep Tayyip Erdoğan, but both seek to create a thoroughly anti-democratic, if not totalitarian, order. Islamists respond two ways to democracy. First, they denounce it as un-Islamic. Muslim Brotherhood founder Hasan al-Banna considered democracy a betrayal of Islamic values. Brotherhood theoretician Sayyid Qutb rejected popular sovereignty, as did Abu al-A‘la al-Mawdudi, founder of Pakistan's Jamaat-e-Islami political party. Yusuf al-Qaradawi, Al-Jazeera television's imam, argues that elections are heretical. Despite this scorn, Islamists are eager to use elections to attain power, and have proven themselves to be agile vote-getters; even a terrorist organization (Hamas) has won an election. This record does not render the Islamists democratic but indicates their tactical flexibility and their determination to gain power. As Erdoğan has revealingly explained, "Democracy is like a streetcar. When you come to your stop, you get off." Hard work can one day make Islam democratic. In the meanwhile, Islamism represents the world's leading anti-democratic force. I want to express our strong condemnation of the baseless and totally unacceptable comparison made in Daniel Pipes's "A democratic Islam?" (April 17) between the arch-terrorist Osama bin Laden and Mr. Recep Tayyip Erdogan, prime minister of the Republic of Turkey. We hold dear freedom of expression so long as it stays within decent boundaries of criticism. However, the intolerable parallel drawn in this article went beyond any conceivable context. Related Topics: Democracy and Islam | Daniel Pipes receive the latest by email: subscribe to the free mef mailing list This text may be reposted or forwarded so long as it is presented as an integral whole with complete and accurate information provided about its author, date, place of publication, and original URL.